Denmark, known as one of the happiest countries in the world, is also infamously known for its Freetown Christiania. Freetown Christiania which once was a military base, is now an autonomous neighborhood, run by the anarchist community. It is a home to approximately 900 people, making it a small community that has its own rules and decisions are made through meetings. But what makes it unique is the open trade of Cannabis or so it used to be. 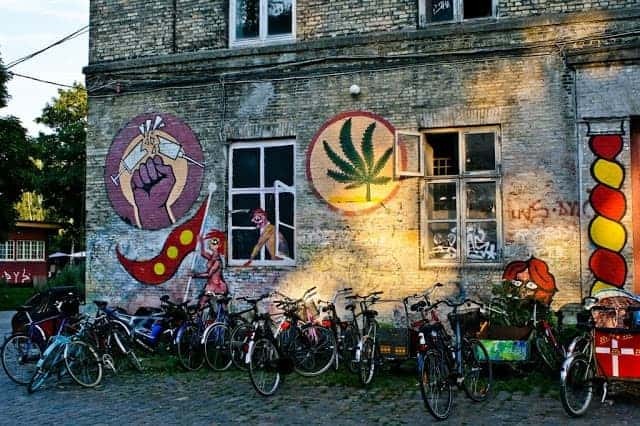 Almost immediately after it was founded, Freetown Christiania became a community for Cannabis trade which was tolerated by the Danish government till 2004. It is said that the town was formed as the homeless took over the area that the military deserted. The homeless took to empty buildings as an act of protest against the Danish government in response to a lack of affordable housing in the city. There are no separate segregated laws for different types of drugs in Danish Laws. All the substances are considered to fall under the term ‘Drugs’. Use or consumption of these drugs are not looked into by the government and is also not considered to be a criminal offense. Though, after the ‘Euphoriant’s Act 1995’ was amended in 2004, the custody of drugs (like marijuana) is an offense and the individuals who are found carrying will have to face varied implications depending upon the quantity that they are carrying. Repeated offenses involving even insignificant amount of drugs will result in serious charges. But the Cannabis offenses are generally punished less severely than harder drugs, after the law directed the courts to bear in mind the damaging effects of other substances when compared to the Cannabis. Drug dealing in Denmark is a punishable offense. If found dealing, one can end up in jail for about 2 years. However, this degree of punishment varies and depends upon the amount of drugs or the profits involved. The Danish government looks at this dealing in 2 ways: (a) if the dealing involves considerable amount of drugs to the mass of people with an intention to acquire considerable income, then it will result into the imprisonment for up to 10 years, (b) if the dealing involves considerable amount of drugs under the harder category or harder substance, then the guilty will be liable for imprisonment for about sixteen years. Legally, dealing of Cannabis (marijuana) is basically not considered different from any other substances. But the maximum penalty while dealing in Cannabis is quite rare to happen as Cannabis are highly unlikely to be considered as a ‘dangerous substance’. No specific laws to cultivate of Cannabis are mentioned in the Danish Law, but if people found growing Cannabis even in small and not considerable quantities, then they are prone to be booked under dealing of drugs. According to a 2013 research by the Centre for Alcohol and Drug Research of Aarhus University, a significant number of Danes (around 1200 Danes) grow their own Cannabis and majority of those grown Cannabis for medical reasons. With a stunning margin of thirty nine to one, the Copenhagen City Council in 2011, passed a formal proposal that will allow supervised dealing of the Cannabis. The proposal also considered the foreign purchase of Cannabis strains or seeds. Nevertheless, the national lawmakers rejected this proposal. Similar proposals were rejected in the past. There seems to be no similar proposal in line. Denmark has shown broad acceptance to this scientific idea of using Cannabis for Medical purposes. In Denmark, doctors could prescribe THCs in the synthetic forms in the form of Marinol and Nabilone, under a particular permit of ‘compassionate use’ as these drugs are to be considered to be licensed and approved by several other countries. This kind of applications are looked on by The Danish Medical Agency, a part of Danish Ministry of Health and has accepted about 3000 permits as of now. Alternative, a centre-left party suggested to implement another new law which would allow the use to cannabis plant for medical reasons. 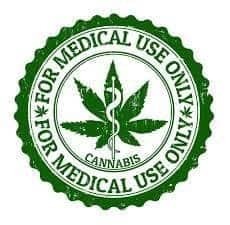 Currently, there is a small legislative majority which is in favour of legalizing medical Cannabis. They also suggested to utilize many Danish islands that are undergoing economic difficulties, to grow medical Cannabis!